We don’t see the current depreciation in rupee as a crisis situation yet and hence comparison with 2013 is totally unwarranted. The rupee hitting an all-time low last month almost coincided with the fifth anniversary of the so-called “taper tantrum” that triggered one of the sharpest falls in the currency in the last decade, but the symmetry ends there and better macro fundamentals should come to the rescue this time round. In May 2013, the then US Federal Reserve (Fed) Chairman Ben Bernanke’s hint of rolling back the bond buying program known as quantitative easing (QE) had unleashed huge volatility and a sell-off in global markets. The fall in the rupee was followed by spike in bond yields and panic selling in equity markets. But the rout didn’t last long. As the tapering got postponed by six months, India got time to put its house in order. So when the Fed tightening actually began the following January, the Indian economy posted a turnaround and began outperforming the developed world. Coming to the current scenario, the macro environment has turned slightly tricky even though the growth momentum remains positive. The combination of the Fed’s tightening cycle, rising US bond yields, climbing oil prices and renewed dollar strength has led to a challenging environment for the Indian currency in the past few months. India again stands at the crossroads. As RBI deputy governor quotes a Nobel laureate in the latest financial stability report: “The past is never dead. It isn’t even past”, we ponder if the rupee is in as precarious situation as it was in 2013. Our answer is: Definitely not. We don’t see the current depreciation in rupee as a crisis situation. Extrapolating the events of 2013 to 2018 would be erroneous, because both the domestic and global economic environment have changed. While there is slight deterioration in macro factors, the economy is on a much stronger footing today. The twin deficits (current account deficit and fiscal deficit) have narrowed. Fiscal position: The government has shown a significant commitment to fiscal consolidation. 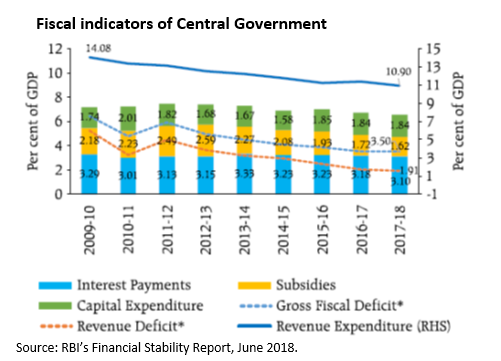 Despite deviating slightly from the fiscal path in the last budget, gross fiscal deficit of the central government has come down from 4.8 percent of GDP in 2013-14 to 3.5 percent in 2017-18 and is budgeted to decline to 3.3 percent of GDP in 2018-19. More importantly, there is an improvement in the quality of fiscal balances with energy subsidies considerably lower than they used to be in 2013. Current account position: Though the current account deficit (CAD) has considerably reduced from 4.8 per cent of GDP in FY13 to 1.9 per cent in FY18, the finer details of CAD are not as encouraging as that on the fiscal front. We have seen the success of several policy measures aimed at reducing gold imports, the second largest component of India’s imports, which was close to 3 per cent of GDP in 2013. However, to a great extent the gains from lower gold imports has been offset by expansion in electronic goods imports in 2018 (see chart: Profile of imports). While the current account’s vulnerability to higher oil prices continue, the structural issues with India’s trade composition need closer attention. In the light of rising non-oil, non –gold imports, the government’s “Make in India” policy should assume greater significance. There can’t be quick fixes for higher CAD in the near term. Hence, in today’s scenario, it is not the magnitude of CAD per se but the financing of the CAD that emerges as a focal point for rupee. The strengthening dollar has led to outflows across emerging markets in recent months, with Turkey and Argentina hardest hit. India too has seen net capital outflows since Jan’18. However, one silver lining today is real interest rates (interest rates minus inflation). 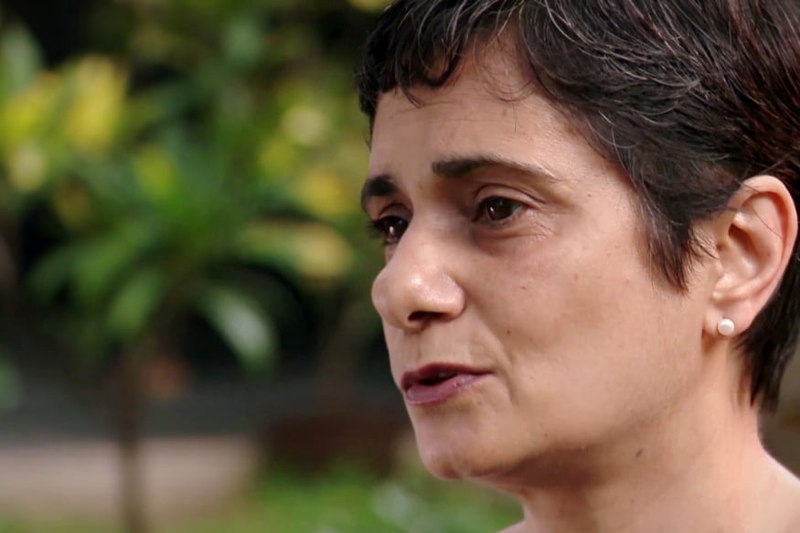 The rupee had lost 25% of its value between May and August 2013 as investors withdrew their capital with the taper tantrum episode intensifying. Following this India took a series of coordinated measures to augment flows that helped in stabilising the rupee. India’s long-term real interest rates were negative in 2013, offering investors few reasons to remain invested. However, today long-term real interest rates are positive and the current differential between India and US treasury yields is still attractive. So, expecting inflows to resume, specifically in debt markets, as trade fears de-escalates, is not unreasonable. Having said that, while attracting capital inflows to tide over the CAD appears attractive, the long term solution to India’s external problems lies in increasing productivity and export competitiveness. Today, the economic buffers have substantially improved, with a huge accretion to forex reserves, which stand at around $420 billion. Forex reserves have seen over $120 billion addition since the beginning of 2014. The reduced external account vulnerability bodes well for the rupee. In early June, RBI governor Urjit Patel explained how the Fed unwinding its balance sheet, and the substantial increase in the number of US Treasury issuances to pay for tax cuts, has reduced dollar liquidity. Shrinking supply of the US dollar in the market has led to the dollar gaining in strength, and as we know, a strong dollar feeds on itself. This kind of situation proves to be a "double whammy" for emerging markets as they witness a sharp reversal of foreign capital flows, as well as currency depreciation. 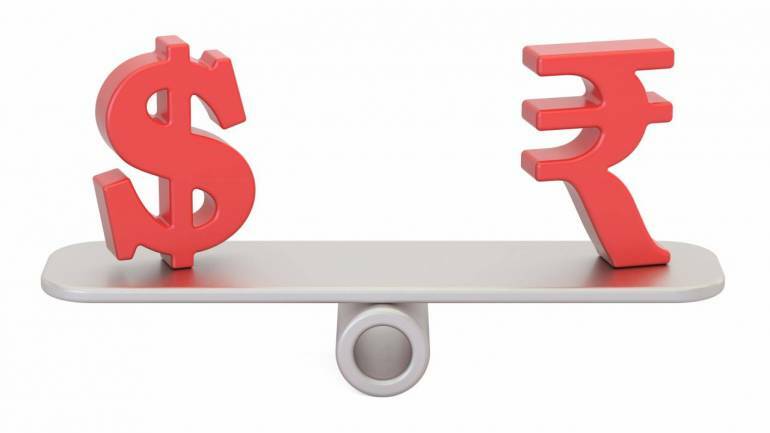 The recent rupee depreciation is in sync with the weakness of emerging markets (EM) currencies against the US dollar. Countries with significant foreign-currency denominated debts and large current account deficits run the risk of seeing meaningful depreciation in their currency. Though vulnerable, India’s current position is better than many emerging nations on both these fronts. 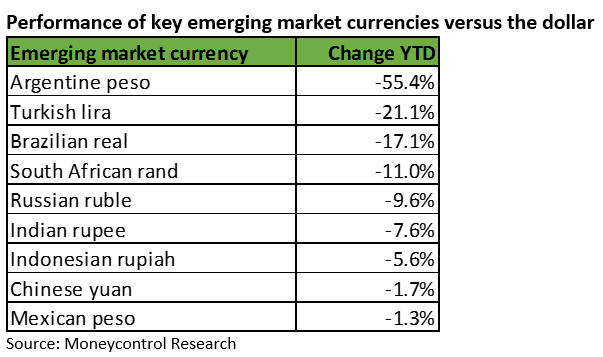 As a result, though rupee has depreciated by around 8 percent year-to-date, it is still one of the better-performing currencies. The trade war fears are finding expression in volatility in EM currencies. The recent depreciation in Yuan suggests that China is weaponising its currency in the trade war. In case trade war turns into currency war, we can expect further pressure on rupee. So, in addition to oil prices and the dollar, we need to watch out for the next round of actions on tariffs to understand rupee’s future path. The current weakness seen in rupee is after unrelenting rally in CY17. In fact, the trade-weighted REER (real effective exchange rate) for the rupee is 114.67 in May’18, implying rupee is overvalued by 14.67 percent. This doesn’t mean that rupee should depreciate by 15 percent, but some weakness shouldn’t be a cause of concern at all. In effect, a weaker rupee can boost our struggling exports and to that extent support growth. Similar to 2013, the current rupee depreciation has been triggered mainly by global factors. However, in 2013, India’s weak macro, especially external sector, added fuel to the fire. That is not the case in 2018. There is no fire. Hence, all talks of measures needed to douse the fire are premature. So overall, while rupee remains vulnerable to swings in global risk appetite, relatively better macro fundamentals should help it ride out this turbulence. Rupee staring at 70/$: Is this 2013 all over again?